We’ve all seen these and similar headlines and marketing tactics. Many try to instill fear; others try to get you to act IMMEDIATELY. All of them are trying to get you to buy some sort of insurance product. Whether it’s life insurance (Whole Life, Universal Live, Variable Life, etc.) or an annuity (Fixed Annuity, Variable Annuity, Indexed Annuity, etc. ), they are simply selling a product. Insurance companies and producers know that fear is an emotion that drives people to act, so they (very effectively) use it when marketing their products. Many of the statements aren’t wrong in and of themselves. However, all of them come with a handful of caveats people need to be aware of. The challenge for potential buyers is knowing what questions to ask to find those caveats. Often sales meetings with insurance agents are centered on fear and the need to act quickly. By their nature the products being sold are complex with many moving parts which are explained in terms that the general public doesn’t understand. All of this creates an environment to cause the potential buyer to simply believe everything the agent is saying and not ask many questions due to the fear of seeming ignorant. Please don’t get me wrong – I’m not against these products (not all of them at least). In fact, I have the licenses to sell each and every one of them. However, I am against the sales tactics used by many in the industry, and I feel these products are actually appropriate for a much smaller percentage of the population than typical agents would have you believe. With that in mind, I thought it would be helpful to give you a list of questions you should ask before ever buying one of these products. What are your qualifications? What licenses and certifications do you have? If you are talking to someone who only has an insurance license and not an investment or securities license, this person may not be qualified to advise you as to whether the insurance product is the absolute best solution for you. It doesn’t mean they’re a bad person or unethical, it just means they lack the knowledge, training, and licenses required to offer you any solutions other than insurance. Is this the best solution available to me given my situation and concerns? It’s a good idea to discuss a few alternatives and be able to clearly explain why the product being offered is better. Often agents are paid a commission for selling the product. Sometimes they will get an ongoing fee. Sometimes they’ll get both. Neither option is necessarily better than the other, but you should know how the agent is compensated. What are the total costs? What will I pay upfront, and what will I pay on an annual basis? How do these costs compare to alternative solutions? What restrictions are there to access my money if my situation changes? These contracts almost always come with severe “surrender charges” if you need to pull your money out before the contract allows. These charges and restrictions need to be absolutely clear in your mind before you buy the product and lose liquidity with that money. If I do need money for unforeseen circumstances, do I have other funds available so I won’t need to incur withdrawal fees? It’s never a good idea to tie up all of your liquid cash into these products. Maintaining liquid assets will give you the ability to absorb unforeseen situations that can pop up. What are the drawbacks of this product? There is no silver bullet product out there. Every product and solution has pros and cons. You need to understand the cons of the product being offered and be comfortable with them. What is the financial strength of the insurance company offering this product? 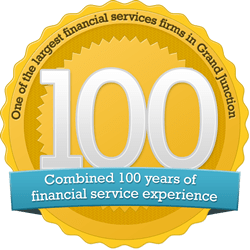 The guarantee being offered is only backed by the insurance company – not the FDIC or any other organization. You need to be sure you’re buying a product from a financially strong and prudent company. If you are not 100% certain the product being offered is the best fit for you, I simply ask that you wait to make a decision. Financial decisions should never be rushed, so take your time. If the agent is pushing you to decide quickly, that alone should raise a red flag. Listen to your gut. Often we know if something just doesn’t feel right, and listening to that nudge can help us avoid a potentially detrimental decision.